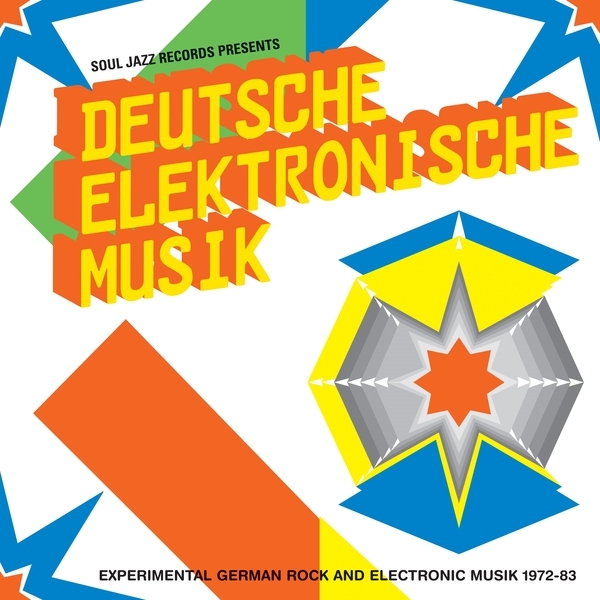 Soul Jazz Records deliver a new edition of their long out of print classic first “Deutsche Elektronische Musik – Experimental German Rock and Electronic Music 1972-83” is ‘a near-definitive guide to some of the world’s most extraordinary music’ (The Guardian). "The album comes as two separate double-vinyl releasses, featuring a stunning line-up of groups including Cluster, Can, Faust, Popol Vuh, Neu!, Amon Düül, Harmonia, La Düsseldorf and Tangerine Dream as well as a host of lesser known groups such as Kollectiv, Ibliss, Between and many more. This new edition is fully re-mastered and features all the original artwork and tracks. The first seeds of German rock and experimental electronic music were planted in 1968, as students and workers in Paris, Prague, Mexico and throughout the world demonstrated against mainstream society, the war in Vietnam, imperialism and bourgeois values. The birth of a counter-culture, drug experimentation and social change expanded musical worlds. Germany experienced its own cultural revolution fuelled by these worldwide student and worker revolts and by a generation’s desire to rid itself of the guilt of war. German rock and experimental electronic music grew out of this worldwide counter-cultural revolution of 1968. The objectives were to create new music, ‘free’ from the past, many German youth turning their back on mainstream society. From the opening of the first collective/cooperative, Kommune 1, in Berlin, to the formation of the Baader-Meinhof terrorist group and the bombings, kidnappings and killings of the Revolutionary Armed Forces (RAF), young Germans sought out new values and a lifestyle outside of ‘the system’. These cooperative and communal experiences led to a number of new collective German bands forming such as Amon Düül, Faust, Can (all featured here) and others and these ideals drove this new movement. A music that gave seed out of the cultural ‘nothingness’ that young Germans felt as a consequence of Germany’s role in the Second World War. A generation who grew up stifled by the recent history of Nazi atrocities, the guilt of their parents’ generation and their disillusionment at the reintegration of old Nazis into mainstream society. Influenced equally by the electronic experimentalism of Stockhausen, the progressive rock of Pink Floyd and the black American jazz and soul music played at the occupying armed forces bases, young German artists seamlessly created out of this a new unique music with its own unique identity.